On this page I (try to) keep a record of every ship I build. 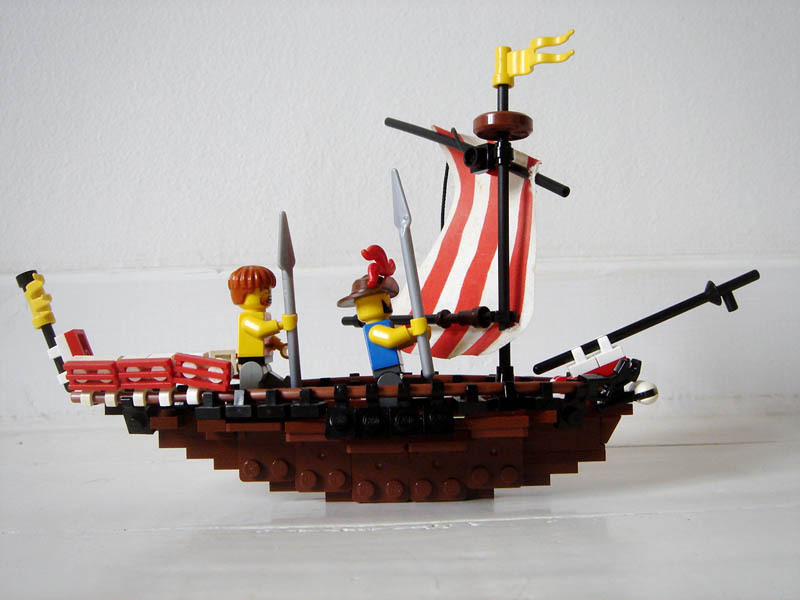 Other pirate related creations can be found in my folder 'Armada'. It's not easy to be consistent in the chronological order as some ships are updated multiple times. Click the pictures to view more of a ship. 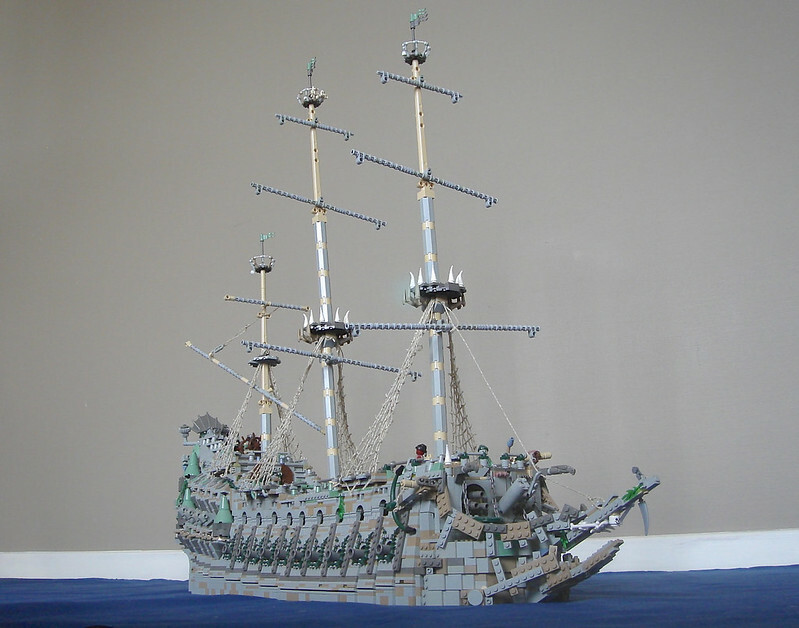 When the famous movie Pirates of the Caribbean struck my interests in the genre grew, I wanted to build the Black Pearl, period. The first official lego ship I had was the Armada Flagship, this was my starting point for building my own MOC ship. Everything else considering ship-building material I got later was purchased on the second hands market. 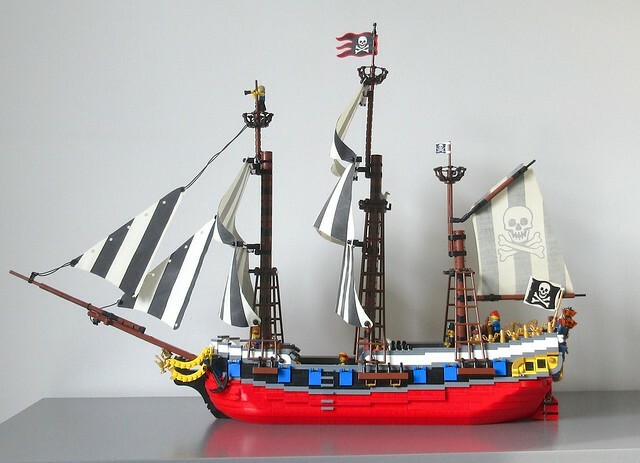 My first big-hull ship was, in terms of design, very much similiar to the original set (Skull's Eye Schooner). By the time I had seen POTC Dead Man's Chest and gained interest in the ghostship known as the Flying Dutchman. I dare to say that my version of the ship was the first MOC posted online that actually showed resemblance to the iconic ship. 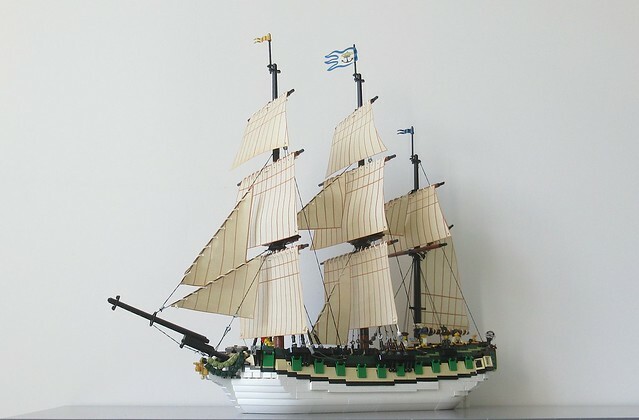 My ship-building style underwent a major shift, instead of the tall galleon-style ships I began to appreciate the sleekness and effeciency of ships during the napoleonic wars. 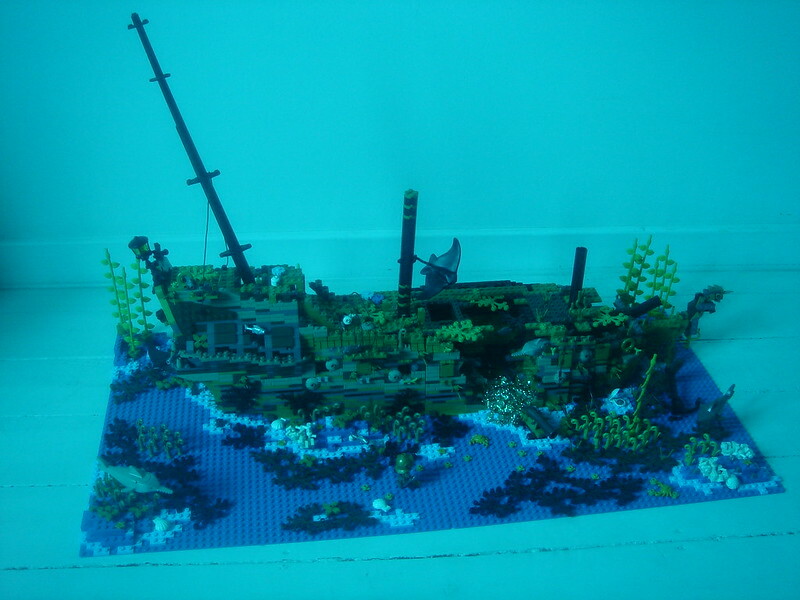 *This is a sunken ship, it lies at the seabed underwater. Wow, you're quite the expert on sailing ships. I'm currently designing one on LDD and I got some interesting ideas from looking at yours. My favorite is Farore's Wind. Keep up the good work. You've got a very nice collection of ships there Sebeus! I like them a lot! Keep building 'cus you're doing great. In my opinion your lucky even to have one pirate set! I've never owned a pirate set, so for the two years pirate ship building i've had to use custom hulls. 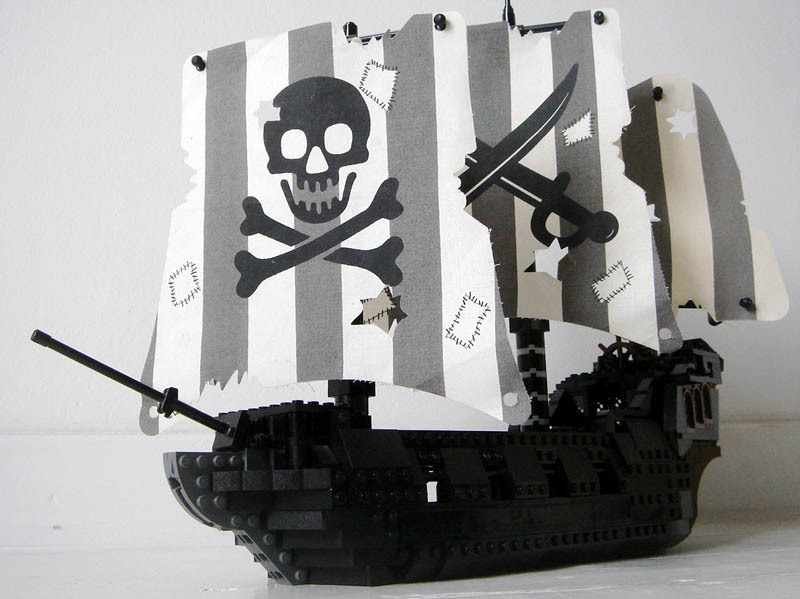 But with these new pirate sets coming out I may be able to make a fleet of ships like the Sirius. Sweet! I always thought that your other ports were a bit under your potential. I can't wait! Hey sebeus,how many of the ships are actully "alive" in the same time...Understand what I asked? Well...You gotta love dutchman. Youre a dutchman. Nice, I love the flying dutchman. This is sweet! I can't believe how many ships you have! P.S. your question about my webcomic, I actually have two or three more chapters planned out right now!